2. 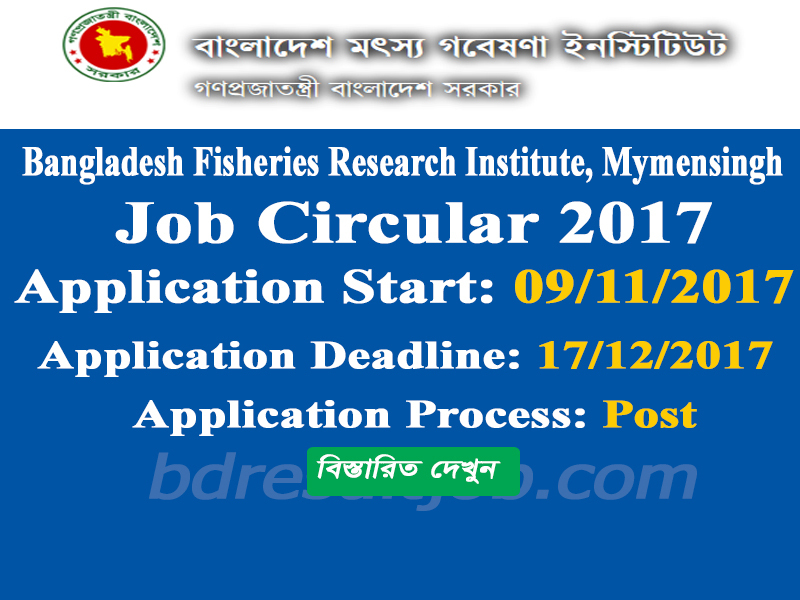 Bangladesh Fisheries Research Institute, Office determinate ‍application form can apply otherwise application will not accept. Every Interest legal candidate to www.fri.gov.bd or below form download and print their application form. 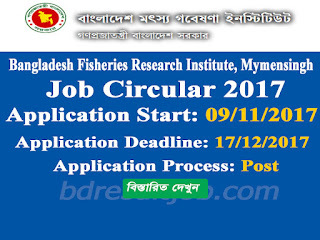 Only Bangladesh Fisheries Research Institute Office determinate ‍application form can apply otherwise application will not accept. a. Recent Passport size photo 4 (four) copy photo. g. Must mansion in Envelop top side Your post name, District and Quota. h. You must Return Envelop Attached 6/- Post Card which you found Admit Card (Write your Present Address). BaBangladesh Fisheries Research Institute, Mymensingh authority will send you Admit Card by Post. Also you can visit update news at http://www.fri.gov.bd/site/view/notices. Bangladesh Fisheries Research Institute, Mymensingh authority will send you Admit Card, Exam Center and Location. Also you can visit update news at http://www.fri.gov.bd/site/view/notices. Bangladesh Fisheries Research Institute, Mymensingh authority will published National Newspaper. Also you can visit update news at http://www.fri.gov.bd/site/view/notices. Tags: www.fri.gov.bd, www fri gov bd, Bangladesh Fisheries Research Institute, Mymensingh Lab Assistant and Hatchery Technician Job Circular 2017, Bangladesh Fisheries Research Institute, Mymensingh Lab Assistant and Hatchery Technician Job Exam Result 2017, Bangladesh Fisheries Research Institute, Mymensingh Lab Assistant and Hatchery Technician Job Seat Plan, Bangladesh Fisheries Research Institute, Mymensingh Lab Assistant and Hatchery Technician Job Admit Card 2017,বাংলাদেশ মৎস গবেষণা ইনিস্টিটিউট আবেদন ফরম, Bangladesh Fisheries Research Institute, Mymensingh Application Form . Bangladesh Fisheries Research Institute, Mymensingh Lab Assistant and Hatchery Technician Job Circular 2017.